The prizes for 2019 are yet to be confirmed. Donated by Bullseye Glass Co.
For 2018, we are excited to offer the winner a fascinating workshop at Bullseye Glass in Portland, Oregon, USA and a chance to meet the Bullseye team. This includes hotel accommodation. This esteemed prize is valued at over £1,400. 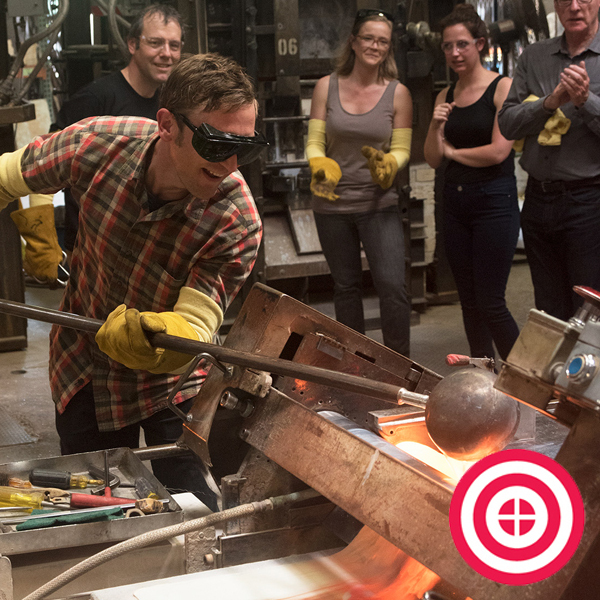 We are extremely grateful to Bullseye Glass Co. for their continuing support of The Glass Prize. Entries in this category must be made using wholly Bullseye Glass - no other types of glass are permissible in this category (non-glass elements are acceptable). For more information about this category, visit the Competition Rules or Meet the Judges. The winner of the Aspiring Glass Artists category will receive a Personalised Day with up to 3 guests, worth over £600. 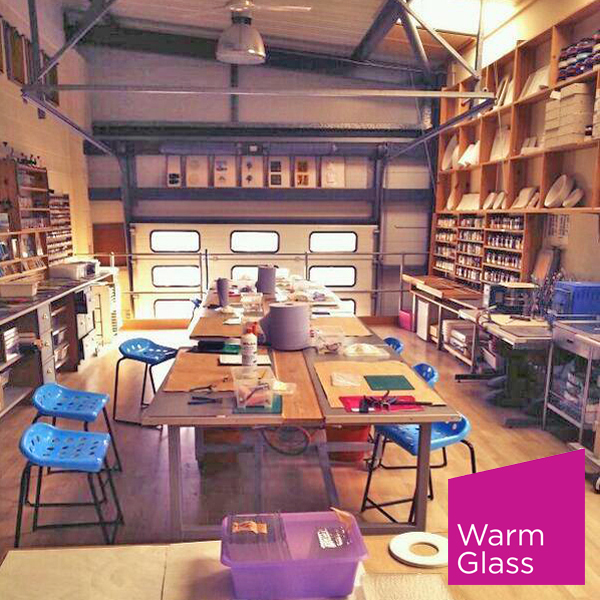 Based in our state-of-the-art studio, our specialist teacher Megan O'Hara will teach a range of exciting glass techniques. Entrants must be either in full-time education (in a school, college or educational establishment) or on an accredited glass class. Evidence of eligibility in the Aspiring Glass Artists category may be requested. For more information about these categories, visit the Competition Rules or Meet the Judges. 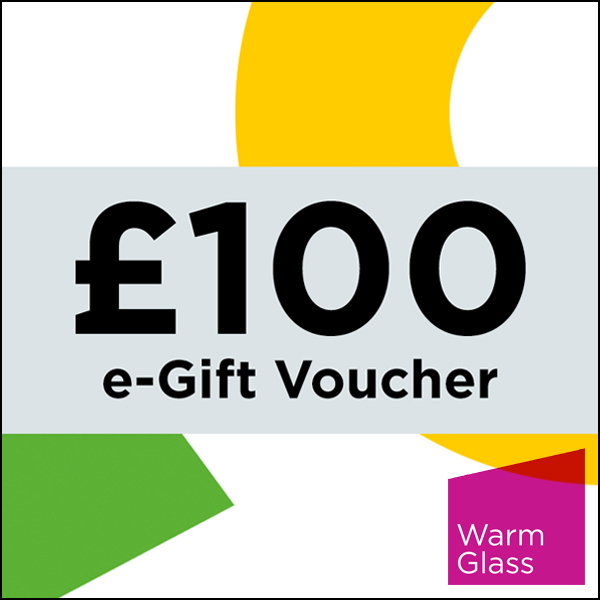 The winner of the Open Glass Artists category will receive a £100 Warm Glass UK Gift eVoucher. This can be used towards the huge range of fused glass supplies on the Warm Glass UK website, including educational courses. This category is open to all glass artists, regardless of experience. Any type of glass may be used in this category except solely Bullseye Glass projects which must be entered into the Bullseye Glass Artists category or Aspiring Glass Artists category, depending on eligibility. Prizes cannot be substituted or traded for cash or alternative prizes and must be claimed by 31st December 2018.